I took up diving in 2005 while on exchange in Malta. I started with the PADI Open Water course and followed that with the Advanced Open Water course. 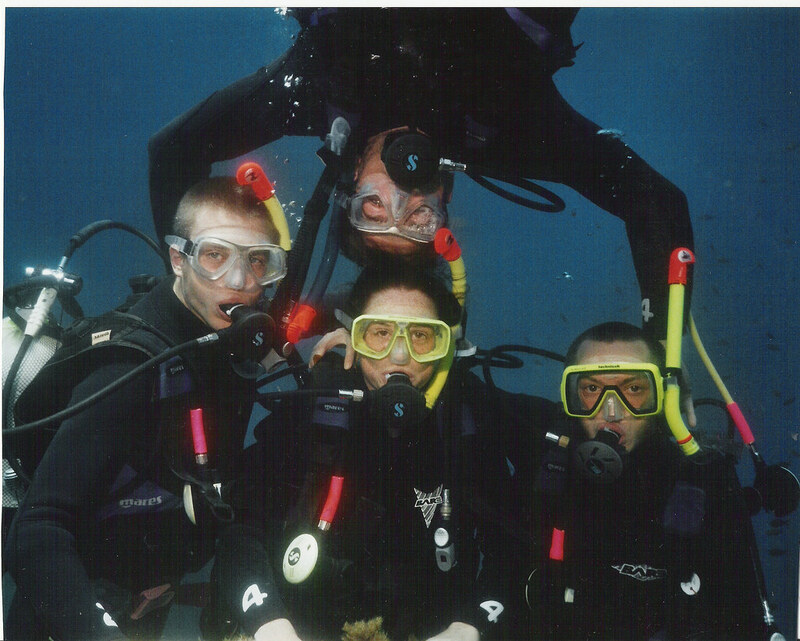 Gavin, David, Karen and I during one of our Advanced Open Water dives. In the summer of 2006 I was invited to dive with Lisburn Sub-Aqua on the Bangor in Strangford Lough, Northern Ireland. As I had no experience diving in a drysuit I could only use a wetsuit. Needless to say I was rather cold. I didn’t dive again until I was invited to dive with Lisburn Sub-Aqua again on their trip to Oban to dive with Puffin Dive Centre. This time I would be better prepared and booked a dry suit course with Splashsports in Glasgow. The course went well and a few weeks later I was in Oban for the weekends diving. A rhib ride out to four wrecks together with a short shore dive and I was hooked and I’ve been diving on and off since, as health and other commitments allow. 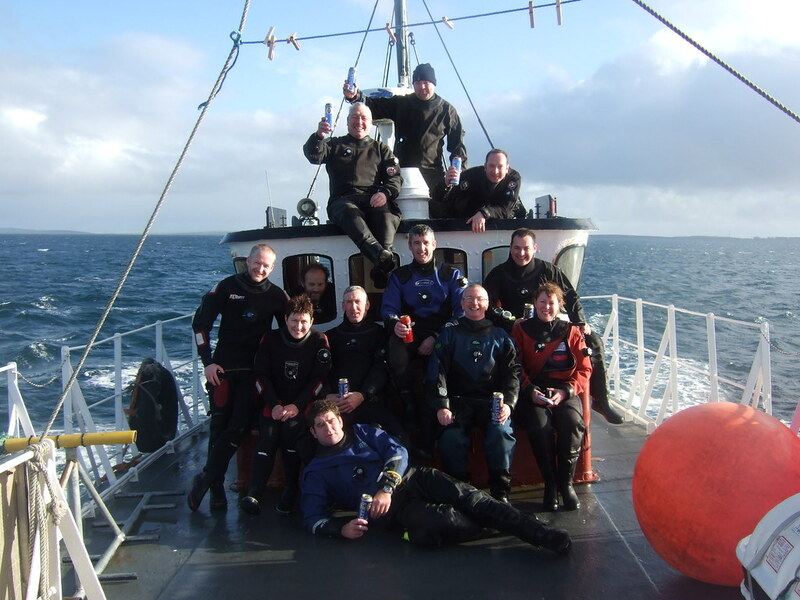 In Oct 2008 I went with fellow members of Allander Divers to Orkney to dive the German High Seas fleet which was scuttled at Scapa Flow (see the Scapa Flow Video). 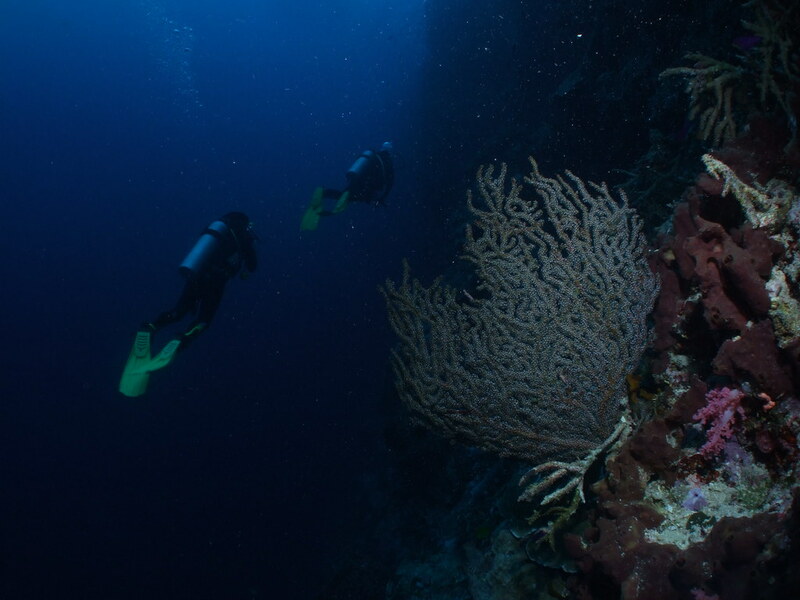 In March 2010, I spent a week diving in Sabah, Malaysia around the islands of Sipadan, Mabul and Kapalai together with my wife’s Aunt and two of her Cousins. This was my first introduction to real tropical diving, with 29 degree Celcius waters and 30m+ visibility. Iain, a fellow diver I met through Allander Divers, leant me an INON 165 fisheye lens for the trip and I added an EPOQUE ES150 Alpha strobe to my photographic setup. Another major trip came at short notice when someone dropped out of a trip to St Kilda and I filled their space. We boarded the liveaboard (an ex-Norwegian rescue/coastguard vessel if I recall correctly) at Oban and travelled up through the sound of Mull, stopping for the night at Tobermorey, across to South Harris for another break before we crossed the open water to St Kilda. We dived some amazing scenic sites, with such geological features as caverns, tunnels and submerged archways, we dived with seals and nearly encountered basking sharks while in the water (saw a fair few while on deck). We had a few dives on the way out and on the way back in again (missed slack water and had an interesting time on a wreck in the Sound of Mull). I currently dive manifolded twin 10L cylinders mounted via SDS quick-release to a Custom Divers TDB wing, MK17 Scubapro 1st Stages with Scubapro S555 & R395 2nd stage regulators. I regularly take my Fujifilm F31fd compact digital camera diving with an Epoque strobe and leave the lighting up to my main torch, a Darkbuster (21W).